No ninjas or rockstars here but a web designer, a front-end guy and a WordPress developer. Those are some of the things people tend to call me. Basically I'm a designer who thinks and executes in code. I help companies, startups and individuals to make their websites and webshops better, not just prettier. In order to do that I believe it's important to focus on speed, content and clarity. I'm not big on parallax effects, animations and things of that nature. Instead I prefer to present information as clearly and directly as possible. Thus my clients know me as someone who is trustworthy, works fast, loves simplicity and doesn't compromise for short-term hacks. If you have something else in mind just send me an email. "Lauri Liimatta is a consummate professional. His deeply aesthetic sense of design, attention to detail, and informed understanding of the back-end issues of website design and maintenance made him a pleasure to work with." "We are very happy to work with Lauri Liimatta as the developer of our website since early 2014. He communicates seamlessly together with the designer and the responsible manager for the website and he is fully embedded in our company workflows and tools like Git and Jira. The results from Lauri are always on time and come in a very high quality. I would hire Lauri as an employee right away." "Lauri has an excellent eye for design and on top of that is a very good front end developer. When working with Gekko he developed large parts of the online user interface and was the main architect of our easy to use design. He was a hard working and quick developer that got the job done. We use Django, Django REST and Angular as frameworks and Lauri understood and integrated his work very well with our way of working. Based on our experience, I would recommend Lauri for any design/front-end developer role." "Lauri is very quick in understanding what we need. 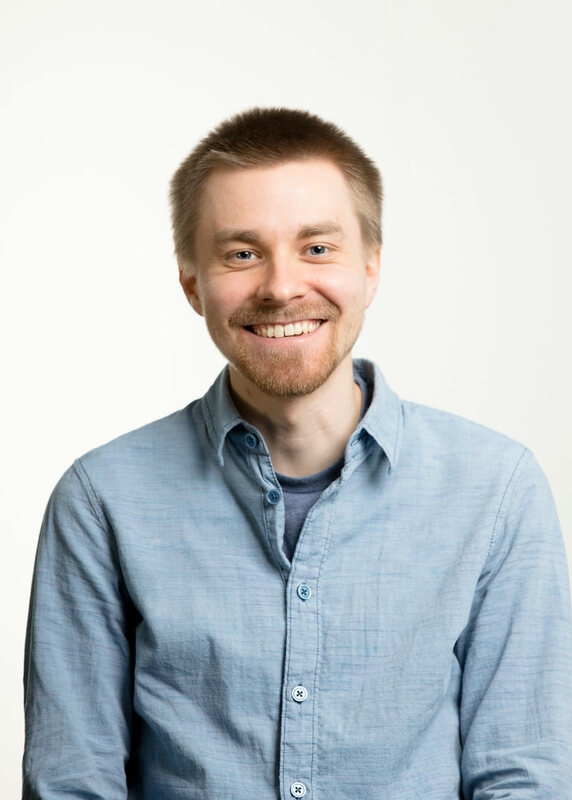 By hiring Lauri, we immediately added a tremendous amount of responsive web development knowledge to our team. Lauri has styled our customer portal to my developers' satisfaction." "Lauri has a great feel for what the client wants. He knows which styles are appropriate for a project, and is very creative using them. He delivers complete layouts very quickly, and has a keen eye for perfection." "Working with Lauri has been a breeze. It's easy to be a satisfied customer, when everything is delivered as ordered and on time. This is how things should go with everyone else too!" 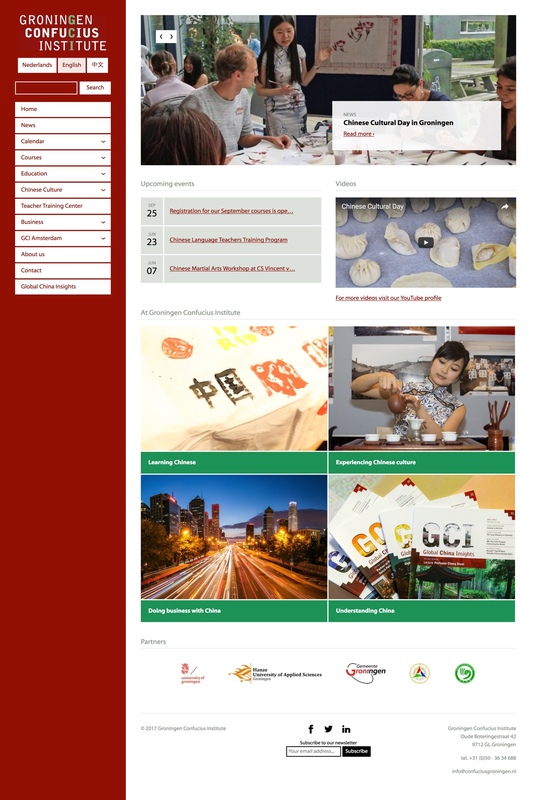 GCI was looking for a replacement to their old clunky CMS and a new design. I made their new website using Kirby CMS and as part of it I also created a shopping cart functionality which integrates with Mollie payment provider. 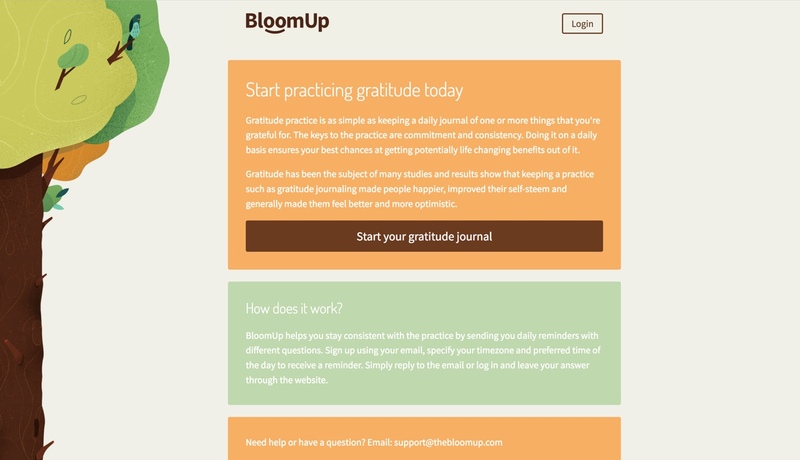 BloomUp is a side project that I started in late 2016. In a nutshell it's an easy way to keep a gratitude journal. It can be used via either email or the web interface. I created it using MeteorJS framework and integrated Mailgun API to process the inbound emails. 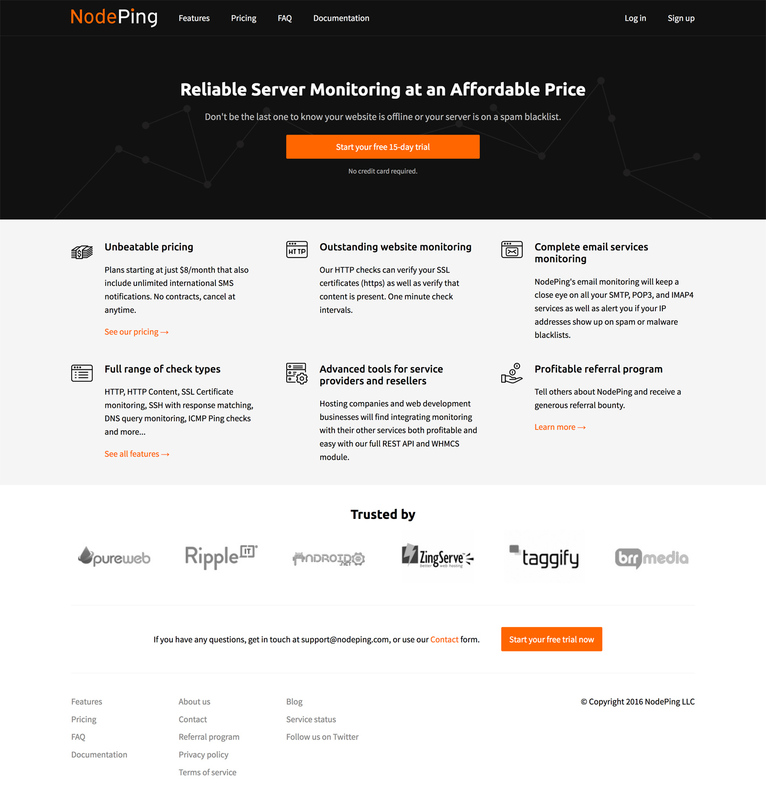 NodePing is a SaaS company that provides server monitoring tools. The goal of this project was to redesign their marketing pages in way that they could be browsed with any device and present the information in clearer way than before. It was also my responsibility to implement the new design. Basement is a personal project that I both designed and developed by myself. 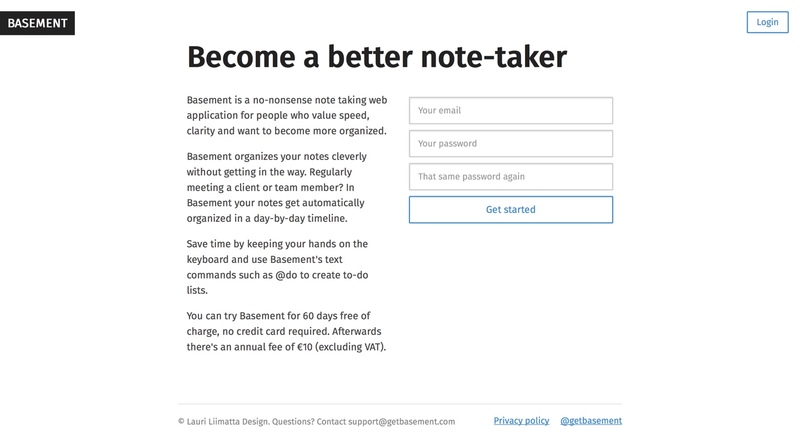 It's a simple and clutter-free note taking web app. I used Meteor framework for creating Basement so the list of tech that was used reads roughly like this: Meteor (Node.js, MongoDB), LESS, HTML5, Git, Heroku and a few third party API integrations (webhooks). Project Wizards makes project management software for the Apple ecosystem. After the initial website relaunch in 2014 I have been actively involved in further developing their website. The website uses Kirby CMS and its design is done by their in-house designer. 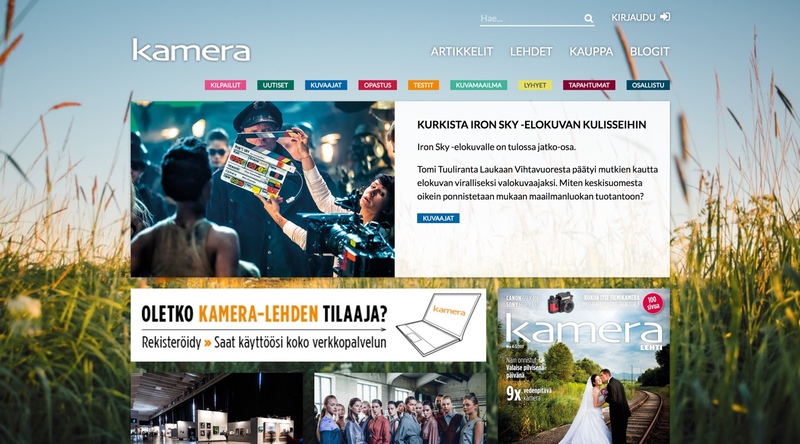 Kameralehti (Camera Magazine) is Finland's biggest photography magazine. This project was done in partnership with Joona Nuutinen who was responsible for the design of the website. My role was to develop all the front-end and WordPress parts. 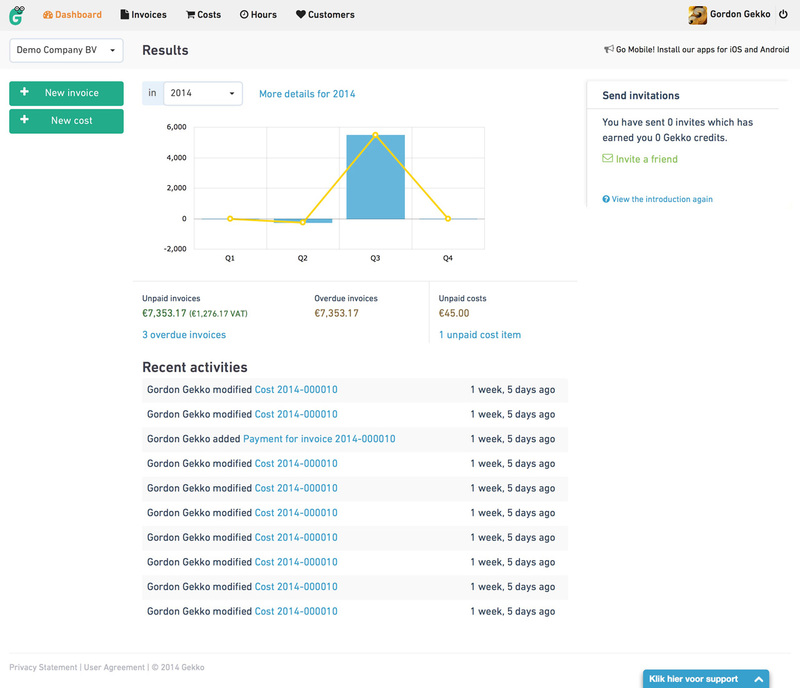 Gekko is a web application for freelancers to send and manage their invoices and costs. In this project my main tasks were restyling the app and its new features like time tracking and subscription billing. I also switched the whole app from Bootstrap v2 to v3. 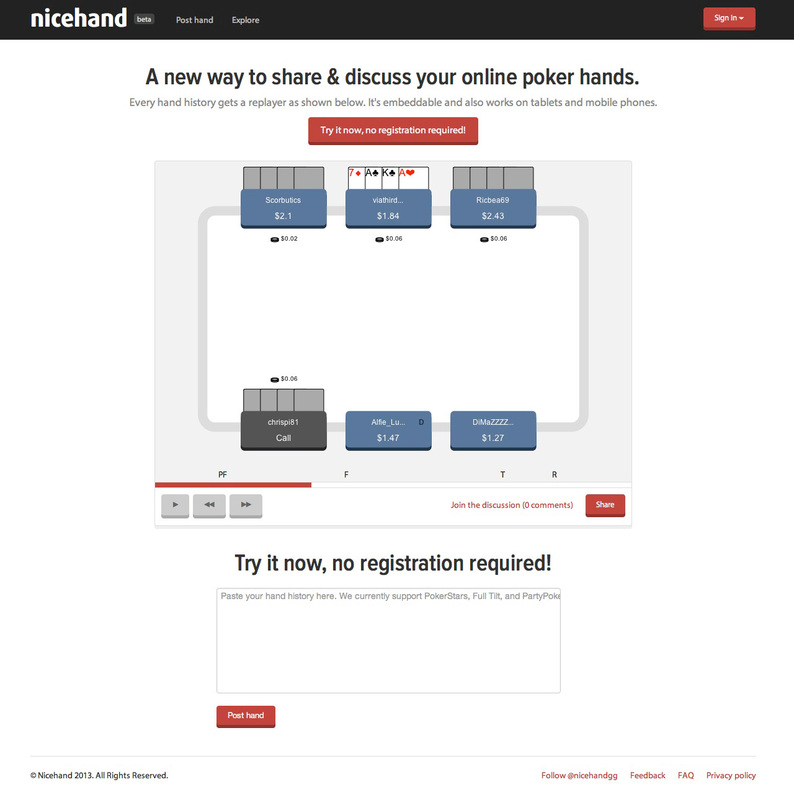 Nicehand is an online poker hand history site that I co-founded with two of my friends. I was responsible doing all the front-end work and design of the site, including the HTML5 hand history replayer. The site was designed to have as little barrier to entry as possible. Anyone with hand history files on their computer can try the service without registration. Wedding Bells was originally a free WordPress theme that I released in 2010. It was downloaded over 75,000 times from the official WordPress theme repository. It's no longer available for WordPress but I have converted it into a Kirby CMS theme and it's freely available on Github.